Why buy an ordinary off-the-shelf bag when you can sew a cute bag in just a day or a weekend? Make your own pretty bag that really sets you apart from the crowd. Sewing Pretty Bags shows you how, with simple sewing projects to stitch and love. Sewing sisters Debra and Cheyanne Valencia present 12 quick and easy projects for sewing boutique handbags, shopping totes, pouches, and more. With lifestyle photography, step-by-step instructions and fresh, modern designs, they show how to make beautiful bags for both fashion and functional uses. Geared to the beginner seamstress and weekend crafter from tweenager to grandmother, this title is the first in a series of three sewing books by the sister team. Get inspired to express your unique personality with the stunning prints and colors of today’s contemporary fabrics. You’ll look stylish carrying your one-of-a-kind accessory, personalized with fancy trims, pockets, beads, flowers, appliqué or embroidery. Projects feature contemporary quilt fabrics designed by Debra Valencia as well as other top fabric designers: Ana Davis, Josephine Kimberling, Ann Kelle, Teresa Woo-Murray and Pampered Girls. Fabric manufacturers featured include: Blend Fabrics, Robert Kaufman Fabrics, Wilmington Prints, South Sea Imports, David Textiles and Spoonflower. Debra Valencia is a visionary artist, designer and entrepreneur with a passion for world travel, artisan traditions and popular genres. Her designs take a fresh approach to creatively blending florals, paisleys, geometric and decorative motifs, appealing to women who love bold color, fashion and femininity. 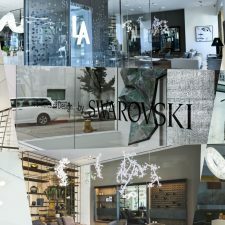 Debra is currently licensed with product manufacturers in the gift, stationery, textiles, home décor, fashion accessories, bath/body, and cosmetics industries. Her designs have sold as quilting fabric collections in both independent and mass market retailers internationally. Cheyanne Valencia is a creative seamstress, quilter, and owner of Prairie Pony Mercantile in Bozeman, Montana. Cheyanne believes in doing things the old fashioned way-by hand. She carries on the venerable traditions of sewing and needle arts, creating hand-stitched, one-of-a-kind crafts to sell at farmer’s markets, craft fairs, quilt shows, festivals, and online. This versatile sewer excels at making handmade western folk art, as well as original contemporary pieces from her sister’s designer fabrics. 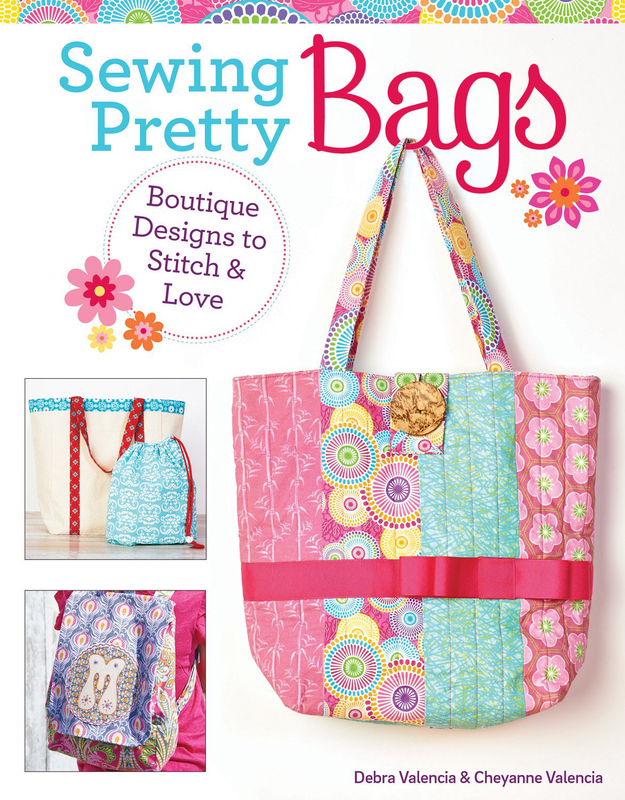 Thank you Debra & Cheyanne Valencia for sending us a printed copy of your book Sewing Pretty Bags .